Agni Purana is one of the most popular Puranas among all the eighteen sacred (Ashtadasa) Puranas of ancient Hindu literature.. Agni Purana was revealed by Lord Agni – the Hindu God of Fire – to holy Sage Vasishta, several thousand years ago. According to Agni Purana “Astrology is not a belief but a well defined science”.. There may be many strong references to Astrology in the holy Vedic scriptures and there may be several more in other Puranas as well. however, there’s one specific life changing chapter dedicated to Astrology in Agni Purana,which many ancient kings have used with accuracy to their benefit. According to Astrology, the character traits of every person, born on this earth, is very well defined in his astrological chart if only there’s an expert who can read it properly; and rewrite it with precision and present it to that person, for his well being. There are many Hindu Gods and Goddesses with many many more elaborate methods of pooja and prayers.. Then which God to choose and which God to offer our prayers..?.. These are the two most intricate questions many in this world are often confused with and are always on the look out for answers at almost every place on this planet.. Which means we can offer our prayers to any form of God we want to. or even to all His forms but we need to bear in mind that all our prayers shall still reach the One above all these forms and the One Who created all these forms..
And that ONE is the all powerful, all pervasive supreme commander of many such cosmic forms and forces Who in this sin filled Kali Yuga is called holy Lord Sri Venkateswara.. The Agni Purana further says “and if you know your date of birth and your janma raashi thoroughly well, then you can quickly achieve what you rightfully deserve in life by offering your prayers to that particular form of God who is assigned by His supreme commander to take care of all your needs in life..”.. If according to your birth star, you are born in Kanya Raashi or Mithuna Raashi then you must know that your ruling planet is Mercury and your ruling God is Lord Srimannarayan.. It means you must offer all your prayers to Lord Sri Maha Vishnu.. Since we are in Kali Yuga you may offer your prayers to Lord Sri Venkateswara and enjoy many quick benefits from your prayers to Him..
There’s no need to follow many elaborate measures in your pooja instead all that you you need to do is just recite this simple sloka,the most favorite one to Lord Sri Venkateswara,nine times in a day..Here’s the sloka..
“.. Om namo Venkatesaaya Kaamitaartha Pradhaayine Pranatah Klesa Naasaaya Govindaaya Namo Namaha.. “.. 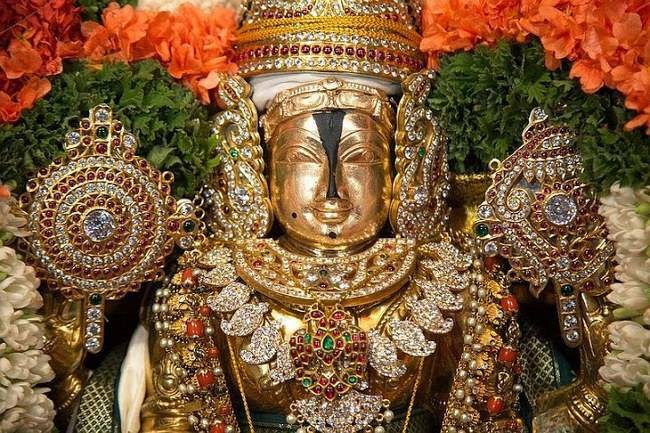 However, there’s a new pooja called the “Sri Venkateswara Maha Manthra Pooja’ that would do wonders to your life and change your fortunes in a big way.. There are many around the world who are already performingg this pooja after reading my article on it.. If according to your birth star, you are born in either Mesha or Vrischika,Makara and Kumbha Raashis then you must know that your ruling planets are Mars (for Mesha and Vrischika) and Saturn (for Makara and Kumbha) and your ruling God is Lord Siva (for all the four Raashis).. It means all those born under these Raashis should offer their prayers to Lord Siva.. Here’s Lord Siva’s most favorite sloka or the sloka that pleases Him the most. If according to your birth star, you are born in Simha Raashi, then you must know that your ruling planet is Sun and your ruling God is Lord Siva.. It means all those born under this Raashi should offer their prayers to Lord Siva.. Here’s Lord Siva’s most favorite sloka or the sloka that pleases Him the most.. 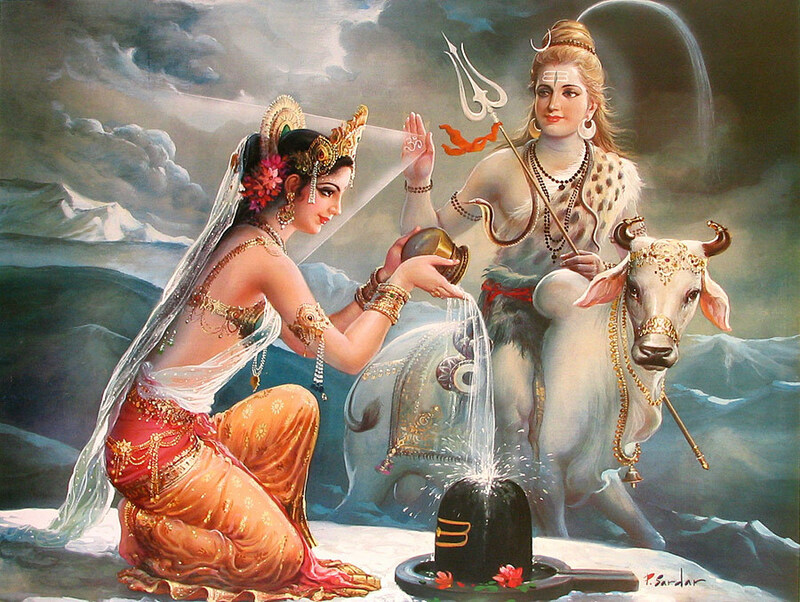 If according to your birth star you are born in Karkataka Raashi, then you must know that your ruling planet is Moon and your ruling Goddess is Gauri or Parvathi, wife of Lord Siva.. It means all those born under this Raashi should offer their prayers to Goddess Gauri.. Here’s Goddess Gauri’s most favorite sloka or the sloka that pleases Her the most.. If according to your birth star, you are born in Thula or Vrishabha Raashis, then you must know that your ruling planet is Venus and your ruling Goddess is Sri Mahalakshmi.. It means all those born under this Raashi should offer their prayers to Goddess Lakshmi.. Here’s Goddess Lakshmi’s most favorite sloka or the sloka that pleases Her the most.. If according to your birth star you are born in Dhanush or Meena Raashis, then you must know that your ruling planet is Jupiter and your ruling God is Sri Dakshina Murthy, the other aspect of Lord Siva known to be the teacher of knowledge and wisdom.. It means you must offer all your prayers to Sri Dakshina Murthy.. Here’s the most powerful sloka that pleases Sri Dakshina Murthy the most..
1. Additionally, if everyone of you, irrespective of the raashi you are born in, can stand in front of the Sun God, every morning, after your bathing, and offer the following sloka to Sun God, the head of all planets and later to your ruling planet and then to all the other nine planets, you can derive more benefits from your prayers. Here are the slokas you may offer to Sun God; and to your your ruling planet and to all the other planets to bless you during your good and bad times..
You may recite the sloka on your ruling God nine times in the morning after bathing, but before that, if possible go out and looking at the Sun God,chant all the other three slokas, just once, one after the other in the above given order.. If for any reason you cannot go out, just stand turned towards East and recite the above three slokas..
2. For any reason if any one of you do not know your janma raashi, you can still know it on the basis of the first letter of your name. 5. Any one who is suffering from health problems or wish to accomplish the tasks in all their endeavors may offer their prayers to Sun God and Lord Hanuman and derive maximum benefits..
6. 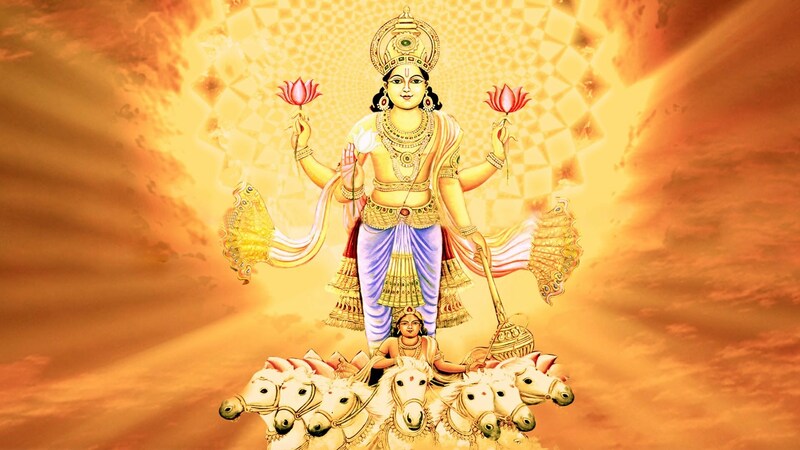 Any Manglik or those suffering from Mangal Dosha (Kuja dosha) may offer their prayers to Lord Karthikeya, also called Lord Subrahmanyeswara or Murugan and may feel immensely relieved..
7. Those who are suffering from frequent accidents, may offer their prayers to Lord Sri Laksmi Nrusimha and derive greater benefits..
8. Those who are facing obstacles in their job promotion, may offer their prayers to Sun God everyday and see amazing results..
9. Those who are facing obstacles in their business or their profession may offer their prayers to lord Sri Lakshmi Nrusimha and Sri Lakshmi Ganapathi and see amazing results..
10. Those who are suffering from illnesses of mind or any other psychosomatic disorder like depression or melancholy or any other mental disorders, may offer their prayers to Goddess Durga and feel a quick recovery..
11. Those who are poor in education and wish to obtain good education, knowledge, wisdom and stability of mind, may offer their prayers to Sri Dakshina Murthy or Sri Hayagriva and see some really surprising results..
Here’s the most powerful sloka on Lord Hayagriva.. I have personally seen many amazing results from this sloka after forcibly making my two daughters recite it, everyday, right from their kindergarten days. 12. Those who are suffering from financial problems or employment problems may offer their prayers to Lord Siva and Goddess Durga and see some great results..
13. These are the simplest methods the Agni Purana recommends to those who cannot perform elaborate procedures of pooja or manthra recitation.. Sometime during January, 2016, a 27 – year old Bengali lady Prothima Chowdhary had called me and for almost an hour narrated me her painful love story. It was during those moments of desperation, I, as though ordained by my beloved Holy Lord Sri Venkateswara, had designed this simple yet the most powerful life changing puja called the “Sri Venkateswara Maha Mantra Puja” which any man or woman on this planet can perform irrespective of their caste, creed, religion and region and also for any problem whatsoever. On my advise, Protima had performed this Puja exactly as per the instructions given by me and had seen a miraculous twist to her complicated love story and married the man she alwayswanted to. Later, many readers who performed this Puja, after reading about it in a chapter I have dedicated completely to the success story of Protima Chowdhary and the complete details of this Puja in my recently released ‘God On Call (English)’ book, have found miraculous solutions to many of their long lasting problems. Loaded with the Divine blessings of Lord Venkateswara and endowed with many miraculous powers, God On Call is a powerful book with eleven spellbinding true stories based on real life miraculous incidents and complete details of the Sri Venkateswara Maha Mantra Puja.